I am a meat eater, but I often eat vegetarian meals because eating a vegetarian meal is a great way to eat all those servings of veggies I’m supposed to be eating in a day. Unfortunately, San Miguel de Allende doesn’t have a huge choice of vegetarian dining, but both NutriVerde and Via Organica are great spots for vegetarians to dine. 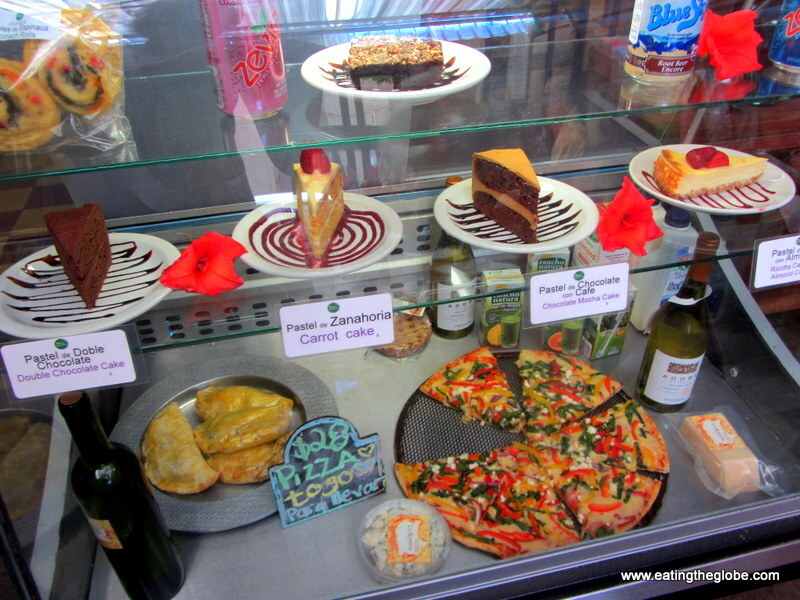 NutriVerde is a charming bistro that serves comida or lunch. I went for lunch and had the three -course special for only 89 pesos (less than $7). It was some of the best vegetarian food that I’ve ever had. Patricia, the owner, was so friendly, and I felt like I was eating a homemade meal that had been prepared by my mom. 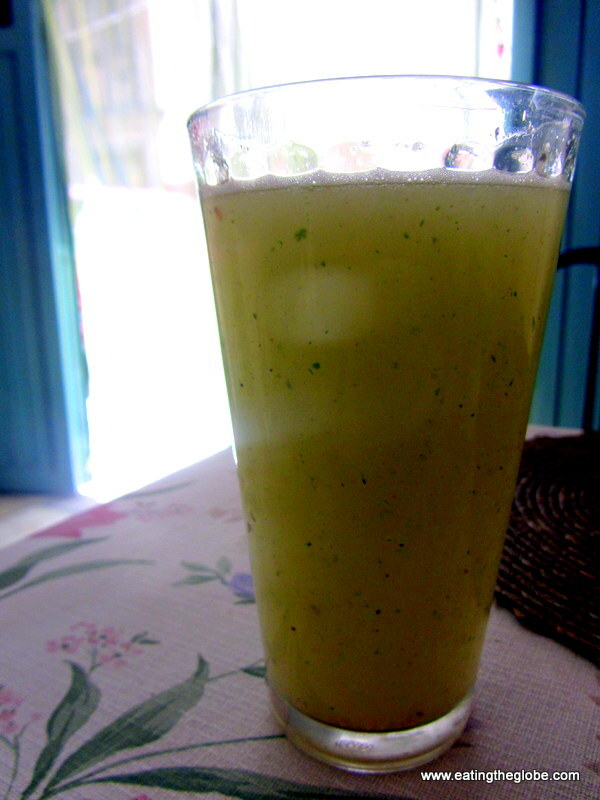 I was served a thirst quenching guayabana parsley juice which was excellent because she didn’t add sugar. (This is rare in Mexico.) 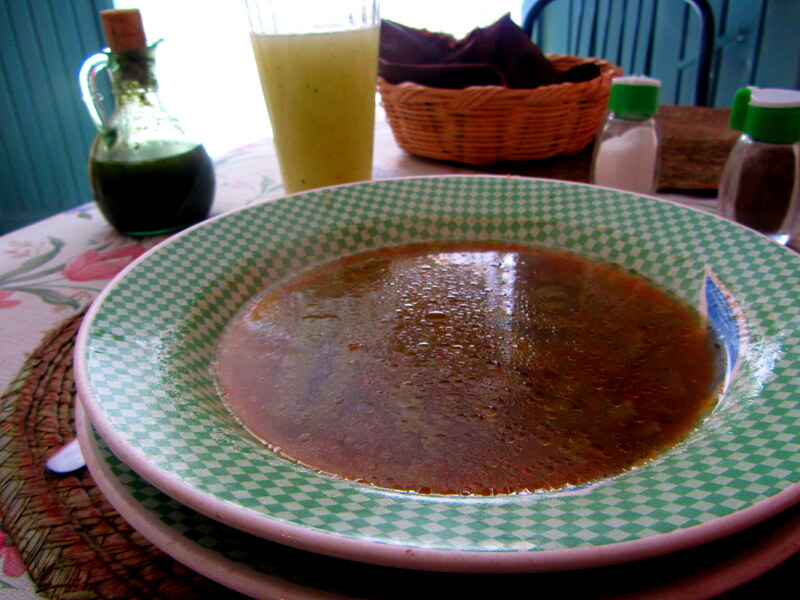 The cactus soup that began my meal was so rich and flavorful that I actually asked to make sure that it hadn’t been made with meat. Next, was the most lovely brown rice dish I’ve ever had. It had great flavor and was sprinkled with flax seeds. For the main course, I was served vegetable crouquettes (think a less-dry version of falafel) which I really enjoyed and salad with homemade dressing. I didn’t eat the bread I was served, as it was just sandwich bread from a package, so that could use a little upgrading. I did, however, love the fact that after I finished my meal, Patricia even asked if I wanted more of anything! So, don’t worry, you won’t walk away hungry. If you don’t want the lunch special, you can order off the menu, and there is a chicken breast burger for those who must have meat. Patricia offers green juices, beet juice, pastas, veggie burgers, and tacos dorados served with potato and mint. 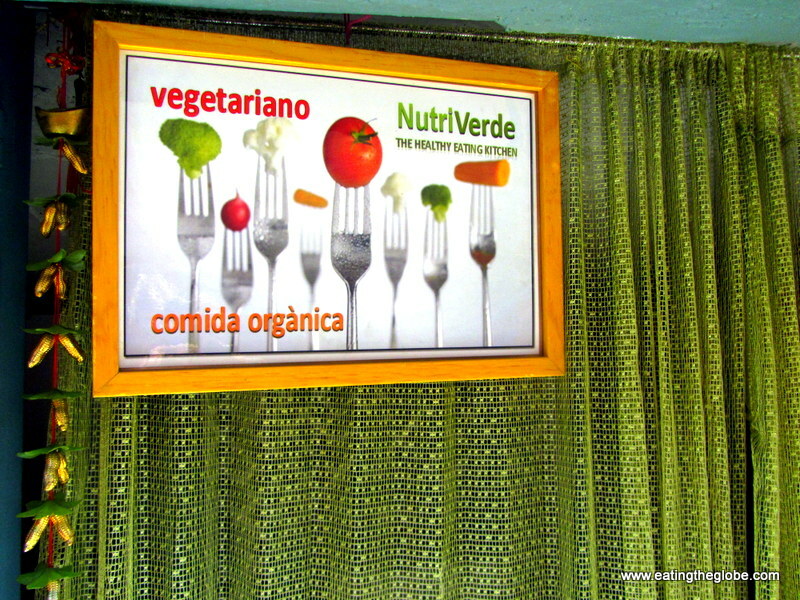 NutriVerde is open Monday-Friday from 10:30-4pm and is located at 78 Sollano (near Juarez Park). 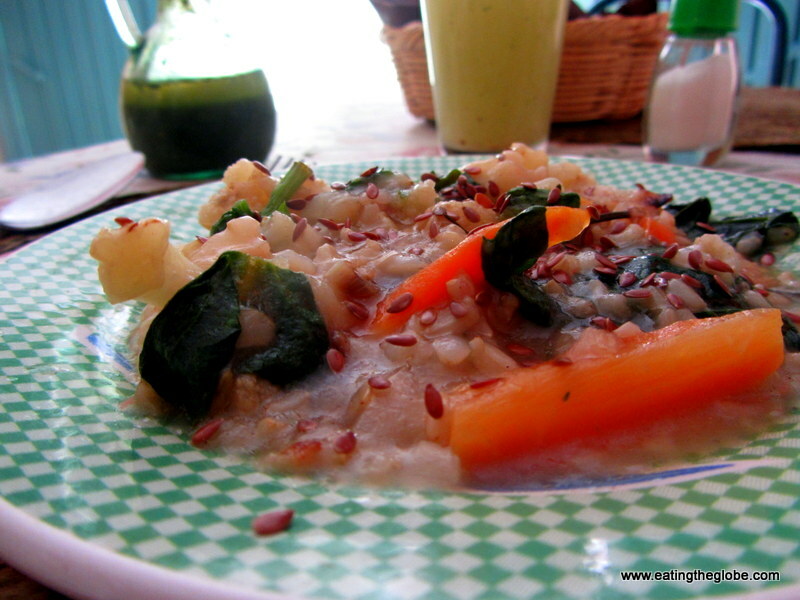 Via Organica is my other favorite organic restaurant in San Miguel de Allende. They serve breakfast, lunch and dinner. 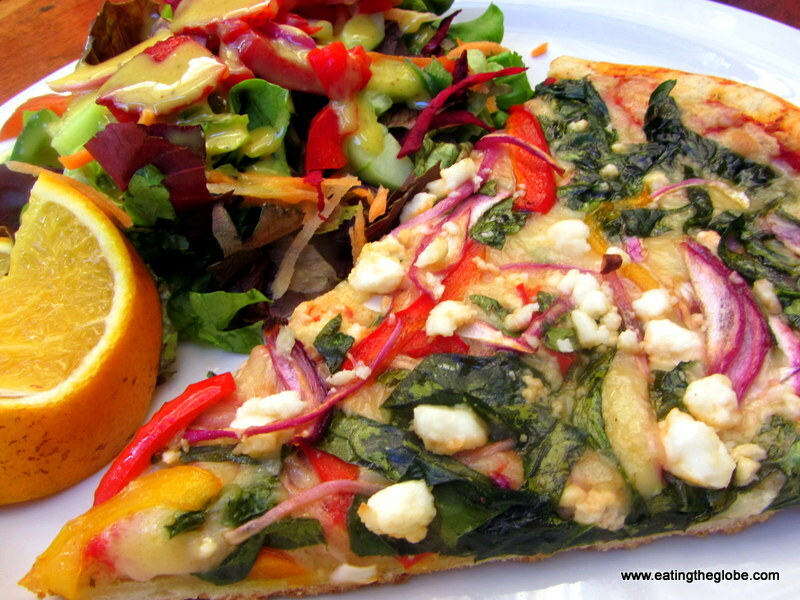 I usually go for lunch and have their incredible vegetarian pizza and salad. They also serve green juices, organic wine, beer and pulque they brew themselves, and mojitos and margaritas. Breakfast is awesome, and I love that they even serve enchiladas in the morning. For lunch and dinner, they serve salads with homemade dressing, soups, Mexican specialties, and lasagna. They have several choices for meat lovers, too. American expats love their Thanksgiving Thursday nights where Via Organica serves turkey with all the trimmings. 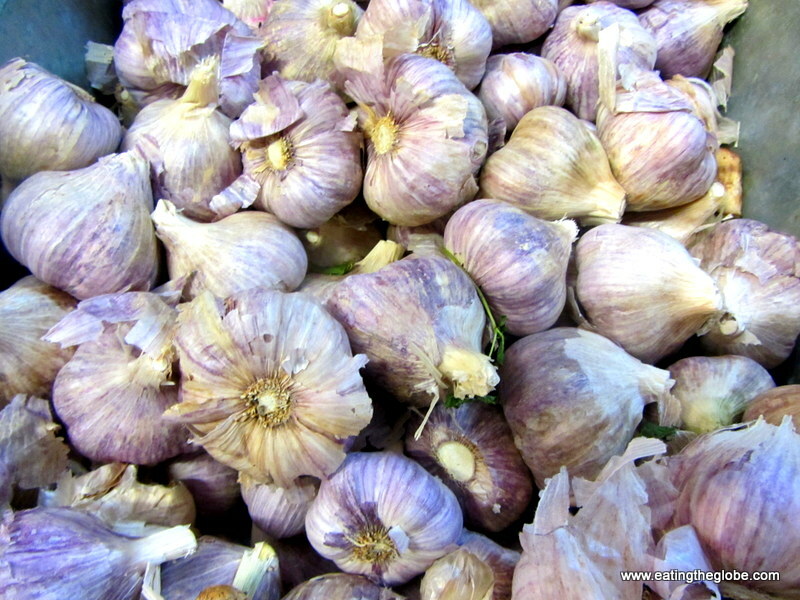 What I love the most about Via Organica is the market that is part of the restaurant. 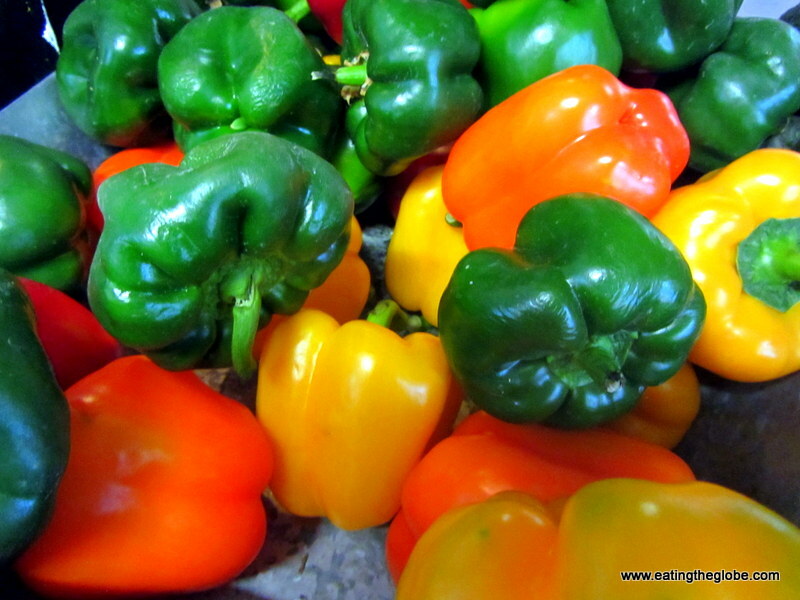 Most all the produce is grown by Via Organica on their farm or is from other organic farms that are located close by. 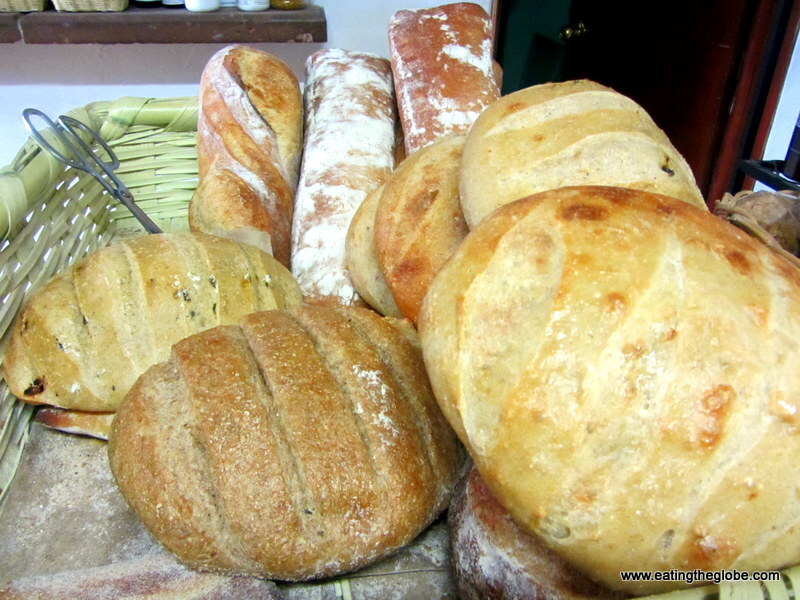 The other products are from local producers such as the incredible bread they sell that comes from La Buena Vida bakery. 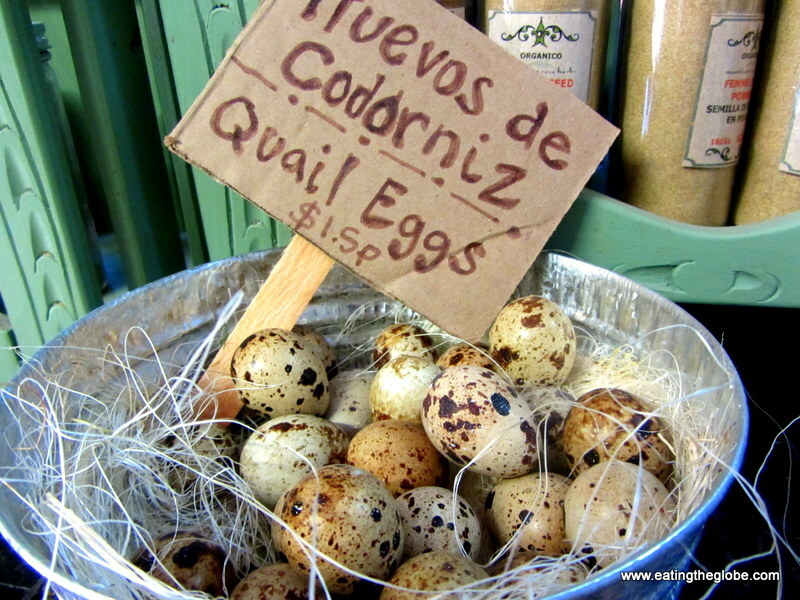 Via Organica is also a great place to buy quail and duck eggs, one of my personal favorites. And they sell the homemade Ambrosia ice cream which is a don’t miss if you are wanting ice cream in San Miguel de Allende. I commend Via Organica for all that they are doing to raise the consciousness of not just organic farming, but paying the farmers a fair wage, banning GMO’s, and using sustainable farming practices. The family also owns the Casa Angelitos boutique hotel if you are looking for place to stay in San Miguel. Via Organica is open everyday from 8am-9pm and is located at Margarito Ledesma Street #2 in San Miguel de Allende, Mexico. 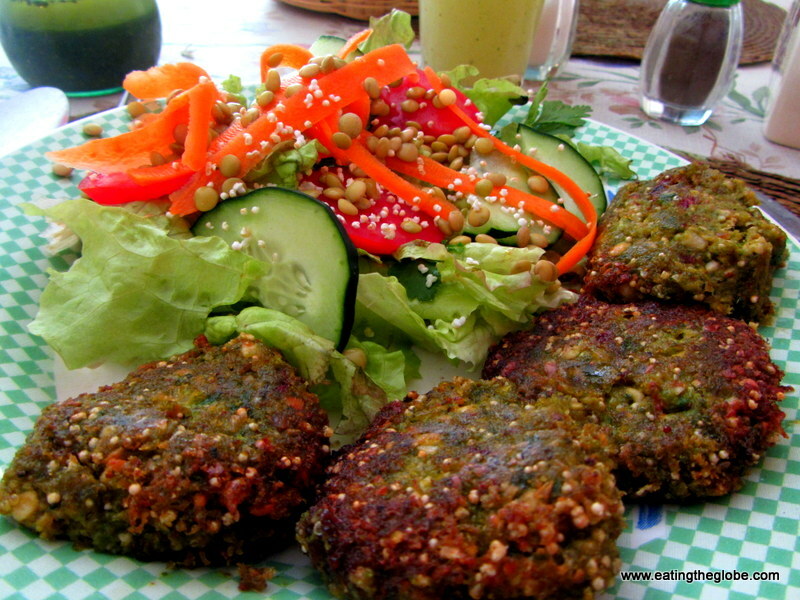 15 Responses to "Two Organic Vegetarian-Friendly Restaurants In San Miguel de Allende That Even Meat Eaters Will Love"
I immediately thought of falafel when I saw those veggie croquettes. I love vegetarian dishes, being meat eaters we sometimes forget how delicious veggies can be. Yes, I try to branch out a bit instead of always getting meat! Have had some delicious food that way! I’m a beef-loving girl from the Midwest, but I think I could easily go vegetarian. Even in Spain restaurants are starting to become more conscious of the cost, the environmental impact and the fact that not everyone loves jamón! Many of my expat friends here are vegetarian, as a matter of fact. I still love meat, but I try to eat a lot of vegetables, too. And I dearly love jamon!! DROOL… This looks absolutely delicious! I’ve never tried cactus soup but now I want to. Great pictures, btw. Looks like great healthy food! I’m a Spain-based vegetarian. One who’s seriously considering a flight to Mexico. After reading this post which has made me hungry all of a sudden. We love organic vegetarian food. Thanks for sharing this gem in San Miguel! As a vegetarian who’s still finding his way around the world and learning about how to cope on the road (especially heavy meat eating countries), it’s great to know that there are not only places out there, but really special ones too! The veggie pizza looks really good! Thank you, Selina and welcome! You have to go to the right places for it. I’ve had and made some good ones!